The Arctic Cat Prowler is a driving force in the side by side industry. We carry parts and accessories for the 550, 650, 700 and 1000 HPX Prowlers. 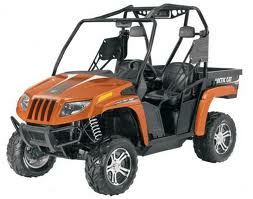 Arctic Cat has a full lineup of prowler vehicles to fit the needs of just about anyone looking to get into a UTV. If you are looking for parts and accessories for your Prowler we carry wheels, tires, windshields, doors, roofs, winches and anything else you may be looking for. Here at Side By Side Sports we pride ourselves on having the largest selection around of parts and accessories including lights, harnesses and seats.